BlackBerry, the once giant has been going through a pretty rough phase lately but they haven’t stopped working. They recently unveiled their new flagship BlackBerry Z30 and now the device has been launched in India today. BlackBerry Z30 is the first smartphone from the Canadian company to feature a 5-inch Super AMOLED HD (1280×720) display and the smartphone had leaked quite a few times with name of BlackBerry A10. The design is reminiscent of the earlier flagship from BlackBerry, the BlackBerry Z10 with a few refinements. There’s a Dual-Core 1.7 GHz Qualcomm MSM8960T Pro Snapdragon processor with Quad-Core graphics coupled with 2GB RAM. The smartphone features 16 GB internal storage along with microSD card slot for expansion upto 64 GB. On the camera front, the BlackBerry Z30 features a 8 MP Auto focus camera with LED flash and a 2 MP front facing one. It comes with a 2880 mAh battery and the BlackBerry OS 10.2 runs the show. 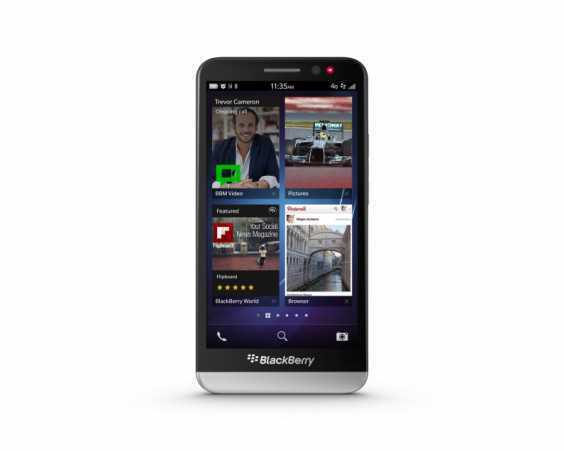 “The new BlackBerry Z30 smartphone offers a unique and engaging user experience with features like the powerful BlackBerry Hub, its exceptional touchscreen keyboard and industry leading browser. BlackBerry Z30 is the ultimate smartphone for the urban youth and consumers who are looking for a bigger screen size, long-lasting battery performance and a best in class productivity experience on the go.” said Sunil Lalvani, Managing Director for India at BlackBerry. The BlackBerry Z30 will be available here in India starting next week at the price of Rs. 39,990 and we hope BlackBerry gets some traction for their BlackBerry 10 OS which has till now failed to make any positive impact for them. BlackBerry has been hard at work with its another loved service BBM, the app has started rolling out again to iOS and Android users after a failed lunch at the start.